Description: This invitation's unique style combines elements of modern design with vintage classicism and when printed on the special cardstock the result is truly vibrant and distinctive. This card measures 5' x 7".Text, layout, phrasing and colors are completely customizable, so you can change a color or layout to fit your party. Matching return cards are available with any design. 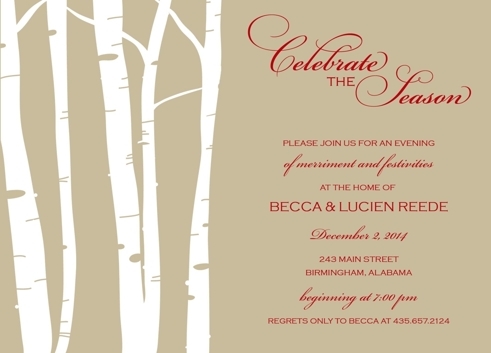 Envelopes for these invitations are smooth paper with either a "V" flap or a deckled edge envelope. Several envelope colors are available to match your invitation as well.